Alternate 14 (#27, 3.34, 5,314′). I loved this climb. It’s very dramatic, with big switchbacks in a great position. The ride starts with a long and very gradual climb, and I wondered where the “real” climb went. The big hills are on the left, and eventually you see what looks like a quarry high up on the side of the mountain. Then you realize this is where the road goes and you then know this is going to be a great climb. Well worth doing. 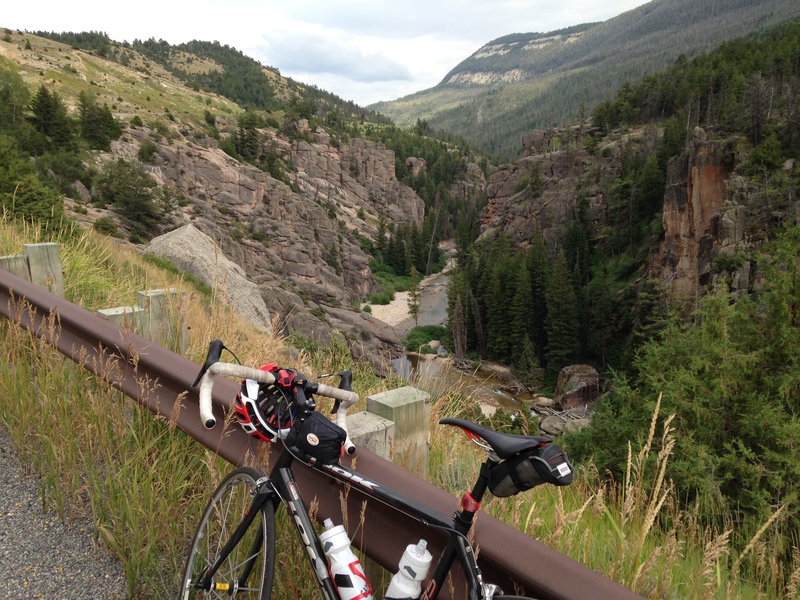 Summerson calls it the most difficult climb in Wyoming. 14 East (2.19, 3,934′). A so-so ride. 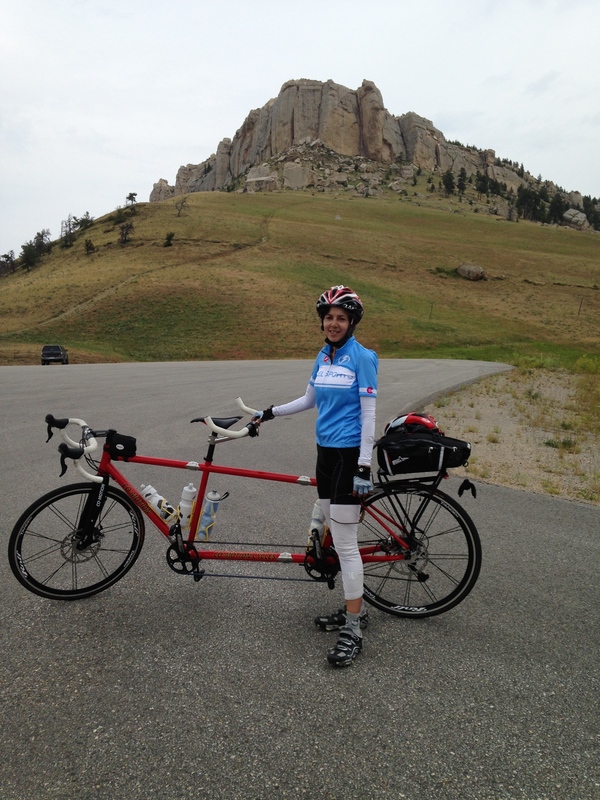 We rode it on the tandem, and it was threatening to rain all the way up. Then it started raining and the descent varied between rain and no rain as the switchbacks took us back into the mountain then away from it. Weird. It’s very pretty up high so maybe my opinion of the ride is colored by the weather. Granite Pass (#74, 2.50, 4,354′). A beautiful ride. We drove down Granite Pass on our way south and it was so lovely that I had to ride it. When we got to the bottom I changed, got the bike off the car, and rode back up. Lovely switchbacks in the first section and some beautiful waterfalls. Eventually the road leaves the canyon walls and heads into high alpine meadows, and for me the climb became less interesting here. 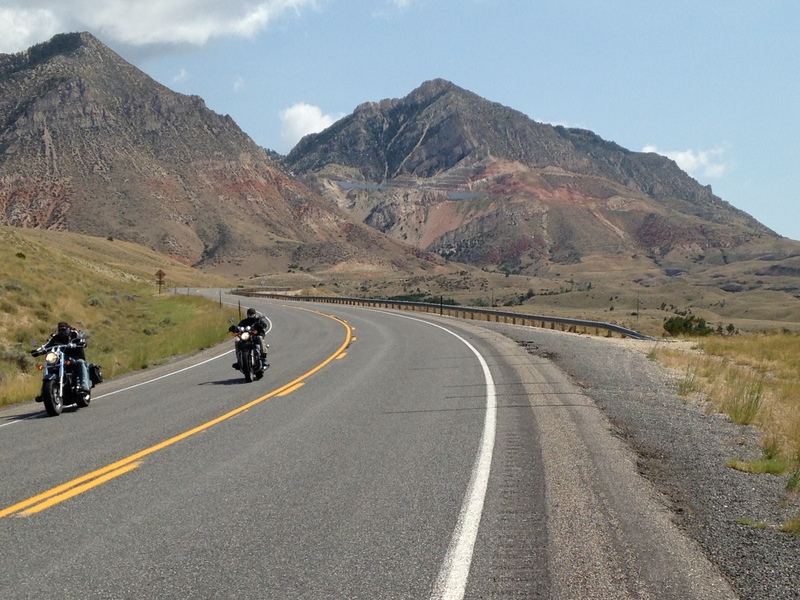 Powder River Pass (2.14, 4,942′). A long climb up Ten Sleep Creek Canyon. Not very steep and I think that Summerson overrates this climb. The canyon is very pretty but it’s a long way to go for a climb that’s not particularly special.